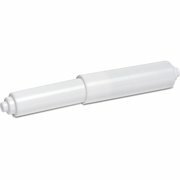 Product - 6 Assorted Scented Toilet Tissue Paper Roller Holders Roll Replacement Spindle ! 6 Assorted Scented Toilet Tissue Paper Roller Holders Roll Replacement Spindle ! Product - Willie Black Bear Holding Roll Of Toilet Tissue Wall Mounted Toilet Paper Holder Rack 7.5"